June is National Aphasia Awareness Month. The brain is a vital organ in the functionality of human beings. It is magnificently strong, yet it can be detrimentally affected by many factors such as traumatic brain injuries, strokes, and infections. 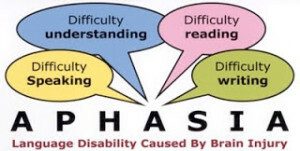 Aphasia is one of many symptoms resulting from a brain injury. It is defined as an impairment in language production and understanding of speech, as well as affecting one’s reading and writing capabilities. In other words, the inability to communicate expressively, or receptively. There are many different ways aphasia can be seen in an individual. An individual may be unable to communicate, or have trouble with certain aspects of communication such as the production or comprehension of language. Following a brain injury that results in aphasia, medical attention involving Speech Therapy is important for the recovery of lost language capabilities. Understanding that the brain has potential for repair is vital to the statistics confirming that therapy can help to improve Aphasic symptoms. Unfortunately, the damage from the brain injury may be too severe to reconstruct all that has been lost. However, an attempt to retrieve lost functionality is vital to one’s future recovery rate. There are several different types of aphasia: Global aphasia, Broca’s aphasia, and Wernicke’s aphasia. The most severely affected patients who can barely speak and comprehend, to those who comprehend but have limited ability in the production of speech, and to those who have trouble understanding the meanings of the words they speak yet the production of their words do not seem to be affected, respectively. The National Aphasia Association has some key suggestions on communicating with an individual with Aphasia. Some of these include ensuring you have the person’s attention, allowing them the time to understand and respond to what you are saying, and finding other ways of communication such as using gestures and drawings. After conferring with a practicing Speech Pathologist in New York City, her recommendations were similar to those from the National Aphasia Association, that “individuals with aphasia can benefit from Speech Therapy that focuses on building a person’s communication skills and utilizing alternative means such as gestures and facial expressions to aid in comprehension”. 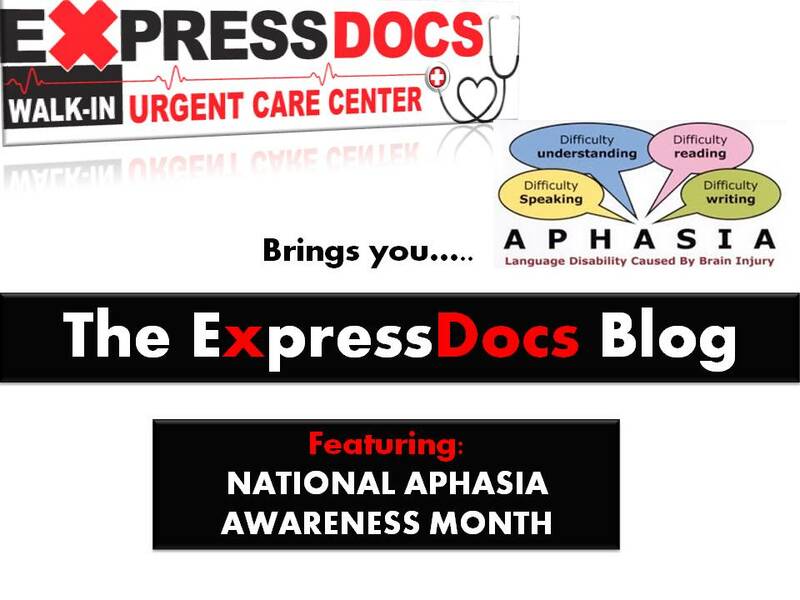 Walk-In to ExpressDocs Urgent Care Center if you have any medical questions relating to aphasia you would like addressed by a physician. The National Aphasia Association has an immensely informative website for more information.